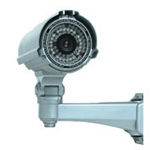 CCTV systems are a great deterrent. 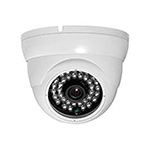 The sight of cameras on your property instantly makes it a less favourable target to burglars and intruders. Studies have also shown that people tend to behave more honestly when they feel like they are being watched. A CCTV system with remote access also gives your the power to check in on your business from anywhere and see exactly what's happening. High quality video evidence can play a vital role in all manner of things, from proof of criminal action to showing exactly what happened in liability cases. Combining CCTV systems with other security measures, like burglar alarms and perimeter alarms, adds layers of security that makes your property a much more difficult prospect than one without similar protection. All camera types are available in in IP, HD and analogue models. Cameras are still widely used. Many types of lens can be used to complement the camera and many advanced options let the installation technician change the settings to best suit the environment in which they are placed. 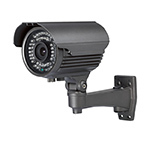 When used outside these cameras are fitted in larger, heated housings. 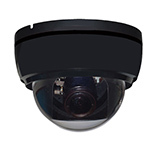 Cameras that are encased in a spherical housing is classed as a dome camera. There are a number of advantages over the traditional camera, they are less likely to be vandalized, look more discreet and, importantly, they hide the angle and position of the camera they contain. 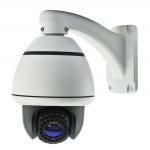 Dome cameras are quickly becoming the number one choice for small applications. Cameras tend to have fixed lenses that do not require manual focusing and are manufactured in many sizes, they are a suitable and low cost choice for most domestic properties and small businesses. 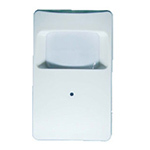 They also come equipped with infa red (IR) illumination and can be wall or ceiling mounted. Cameras are the best choice for external applications with a wide range of lens type’s (2.8-100mm). 2.8mm being a wide view and 100mm being a super zoom. They come with infa red that can be adjusted to stop glare and used for ANPR. Cameras PTZ (Pan, Tilt and Zoom) cameras allow the users to control the exact position of the camera. They also have the ability to zoom in and out via a computer keyboard or a joystick. 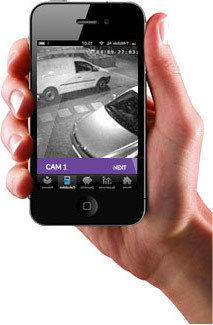 The application for this type of camera is wide ranging from schools to shopping centres.? These miniature cameras can be hidden in everyday commercial and domestic objects. Covert cameras tend to be used where there is a requirement to achieve a particular objective, for example hiding a camera in a stock room will help catch the rouge employee. Recorded pictures can be stored onto Hard Drives using an NVR (Networked Video Recorder) or a DVR (Digital Video Recorder) all with varying Hard Disk capabilities that enable weeks/months of continuous high quality recording. DVRs have multiple camera inputs and hard drive storage capacity, these are suitable for most domestic, retail, commercial and industrial situations. A DVR also ensures archiving to CD, ZIP Drive or memory card. DVRs can also be networked to enable live viewing and playback through your own PC or a PC connected to an office network or the Internet. 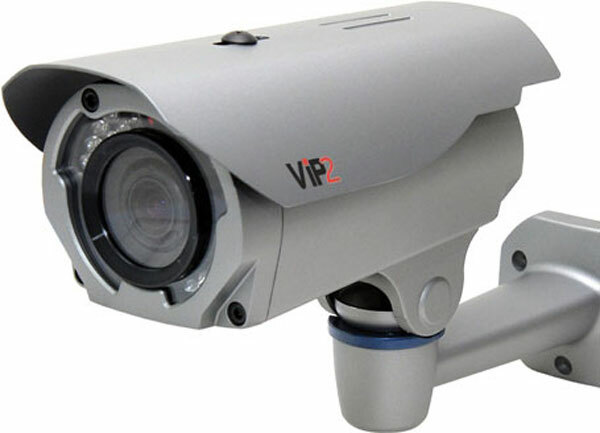 NVRs are used in IP based solutions to capture the images from IP cameras that are networked using an IP switch and installed with software to enable the viewing and enhancement of the recorded images. It is possible to view and control your cameras over the internet using a broadband or mobile connection. This means you can check up on what's happening via your laptop, iPad, tablet or phone. We also supply centrally monitored systems where events on your site can be monitored 24 hours a day. The operators can act on adverse events and inform you or the police or both immediately so that action can be taken. If you have any questions about CCTV systems or need any assistance making a decision you can telephone us on 01480 465203 or contact us by email via the form. Have one of our technicians come to visit your property to discuss your security arrangments. No fee, no obligation.